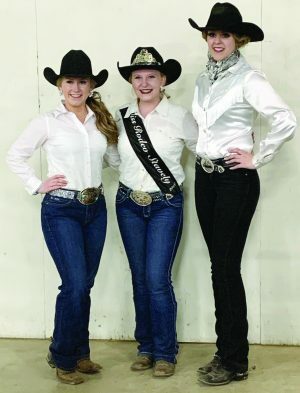 The 2019 Stavely Rodeo Queen has been chosen, but you will have to wait for the first night of the rodeo in May to see who it is. On Sunday, March 31, the 2019 Stavely Rodeo Queen competition took place at the Claresholm Agriplex. The two candidates were Kira Schneider, of Millarville, and Jasmine Dahl, of Carmangay. Contestants had personal interviews with judges Leslie Schlosser, Diana Andrews and Jodi Husted. Candidates then gave prepared speeches to the audience, followed by horsemanship and impromptu questions. After the judges had time to score all the categories, the Stavely Indoor Rodeo Queen was announced. The queen will be crowned at the first night of the Stavely Indoor Rodeo which is Thursday, May 9 starting at 7 p.m.